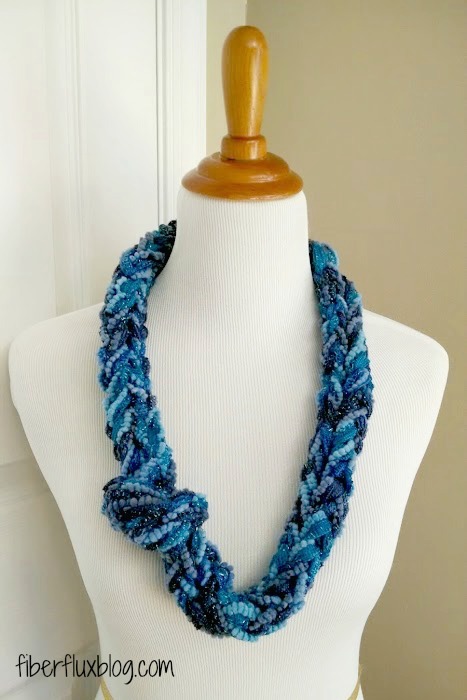 The Finger Knit Sparkle Cowl is a fast, fun, and easy project. 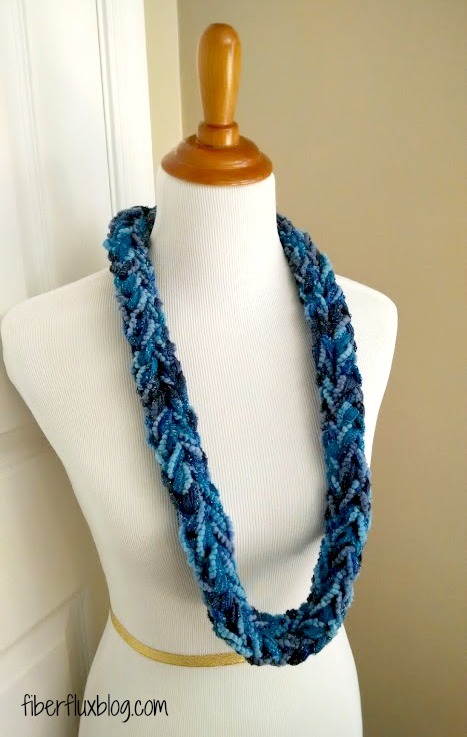 The cowl uses popular ruffle yarn in a different way. This is a great project for kids too, using just your fingers as a loom...plus the sparkles make it extra fun. 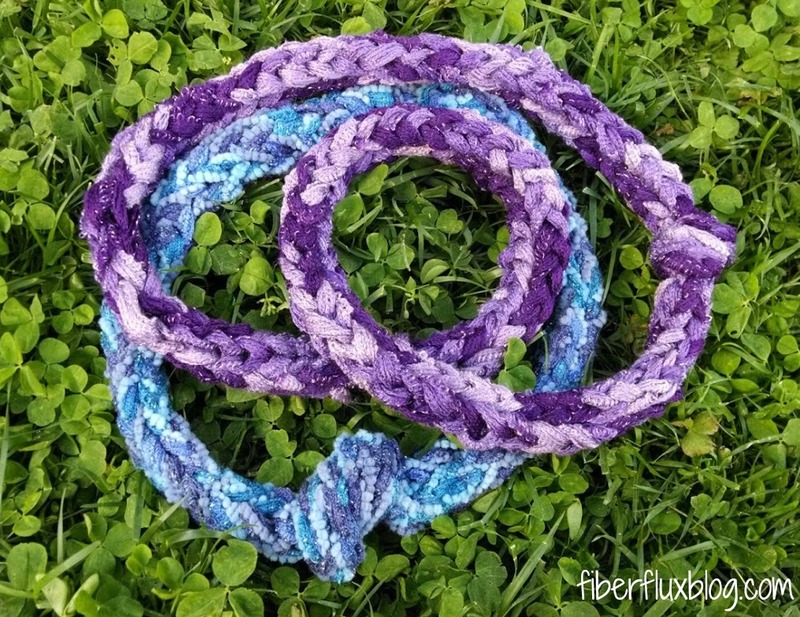 If you have never tried finger knitting, I have included an easy video to get you started and make the entire project from beginning to end. 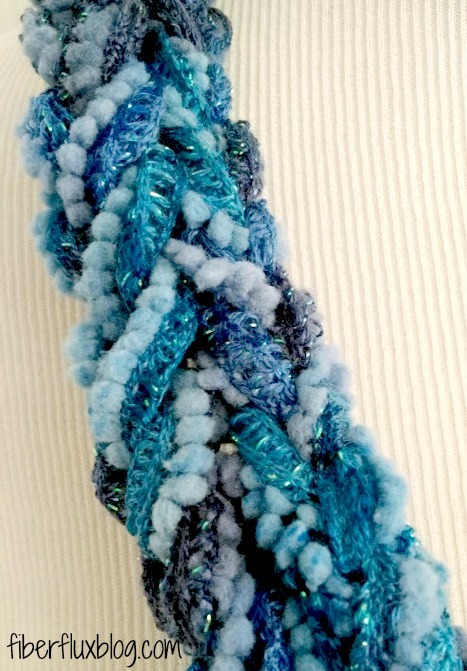 Blue cowl has a 35 inch circumference with knot. Purple cowl has a 60 inch circumference with knot. Using your hand (I use my less dominant hand to hold the project and my dominant hand to wind the yarn), make a finger knit "rope" until desired length or until you run out of the yarn. Both the blue and purple cowls I made were worked until I ran out of yarn. Fasten off to secure the "rope"
Give everything a gentle, yet firm tug to straighten everything out. Tie ends together and either cut tails or weave them in with your fingers. Note: Below is a full video tutorial, to make the project from start to finish. awesome tute and cowl :) pinned!